Dear Lord right now I find myself in a financial struggle. God I can not cope on my own any longer. I am a bread winner at home taking care of my parents and younger sister. God my salary is not enough for food, electricity etc. My financial status has taken huge strain on me physically, emotionally, and mentally. I need your urgent help God please help me overcome this financial crisis I face each and everyday of my life. 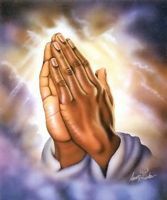 From the bottom of my heart I beg you God to please help me out of this financial struggle. Bless me bestow upon me a financial miracle in my life right now more than ever. My family needs me Lord and I cannot provide any longer, help me please help me, win the National Lottery so that I may pay all my debt and life a debt free life. Dear Lord please hear my prayer bless me this Christmas I will forever be grateful Lord. I need a financial miracle in my life now more than ever. Your help and guidance is so much needed right now.